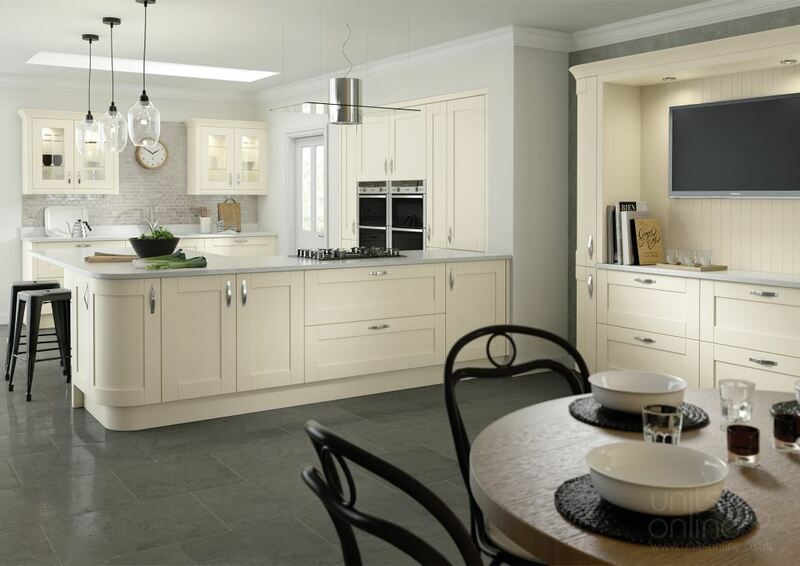 The Cambridge shaker kitchen is available in 4 painted colours of ivory, light grey, mussel and stone grey. Each colour highlights the delicate design of the door and the natural timber grain. 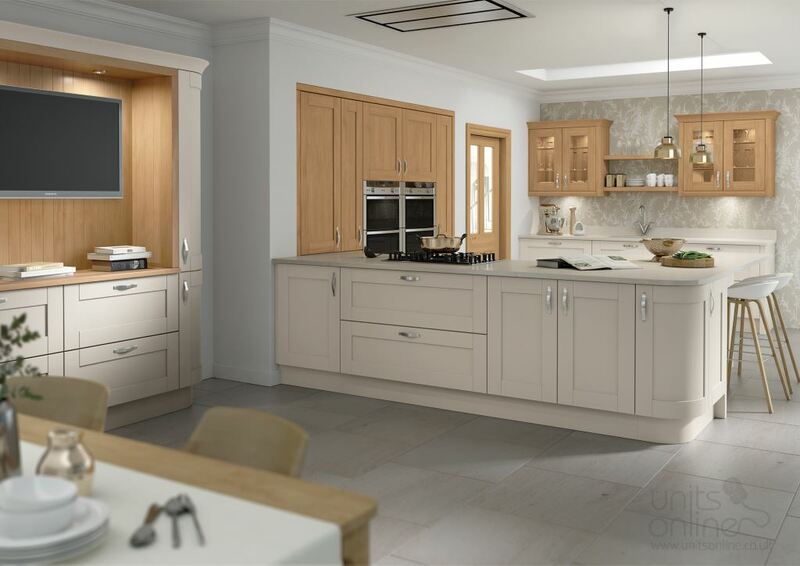 The soft tone of the colours look stunning when combined with the Cambridge oak finish. The wide variety of units available allow you to create distinct areas or heights within the kitchen of contrasting but complementary tones. The detail of design, and nature grain of the timber, contained within the Cambridge door are highlighted perfectly by the soft ivory painted tone. 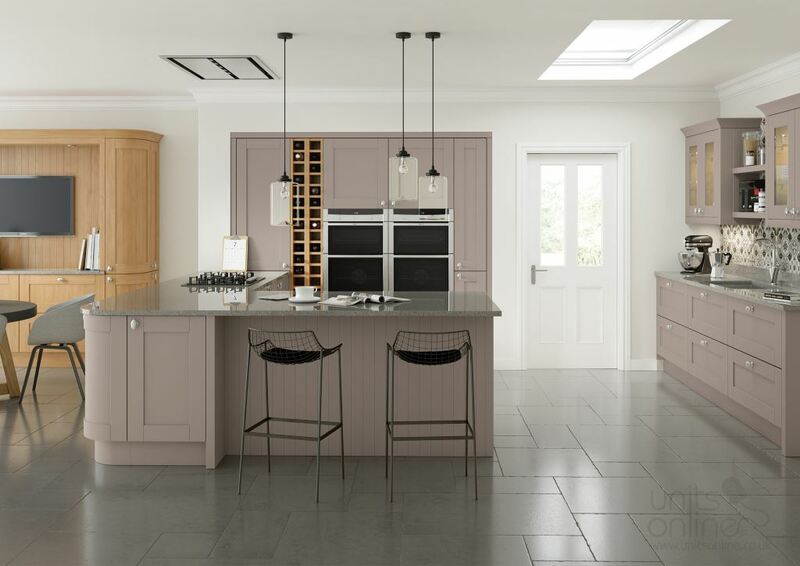 The light grey painted tone of the Cambridge shaker door highlights the detail in design. Use the wide variety of contrasting height units throughout your kitchen design. The Cambridge shaker door painted in the soft pastel colour of mussel is a great choice of colour. The mussel looks stunning when combined with the oak finish as shown in the image below. 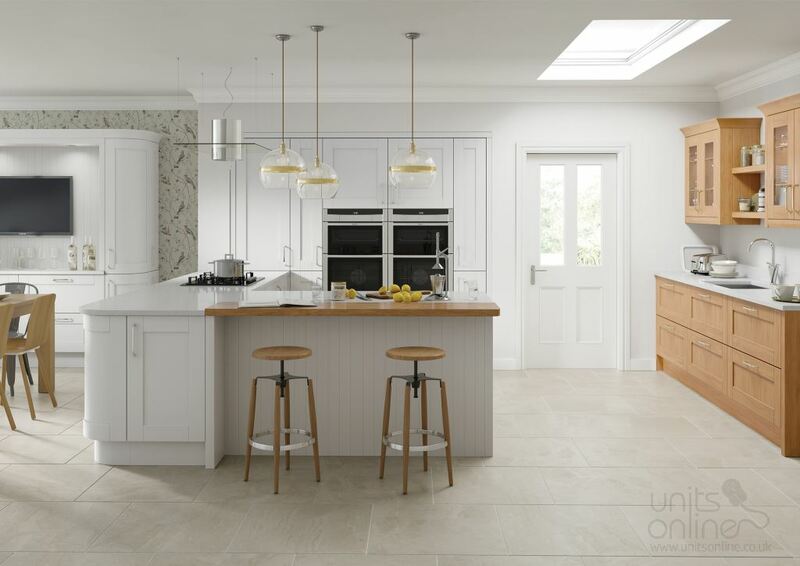 Use the warmth of the stone grey as a single colour or mix with the Cambridge oak shaker door to create a stunning combination.